Im a self confessed fake tan addict and have tried out the majority of brands from Garnier to Xen Tan, my old favourite self tan WhitetoBrown (review here) only has about one application left in the bottle so while I was having a browse through the tans online I spotted a luxury set from Irish brand Vita Liberata containing Rich Siken Chocolate tan, Rich Silken Chocolate and 24ct Silken Shimmer wash off tan I knew I had to have it! 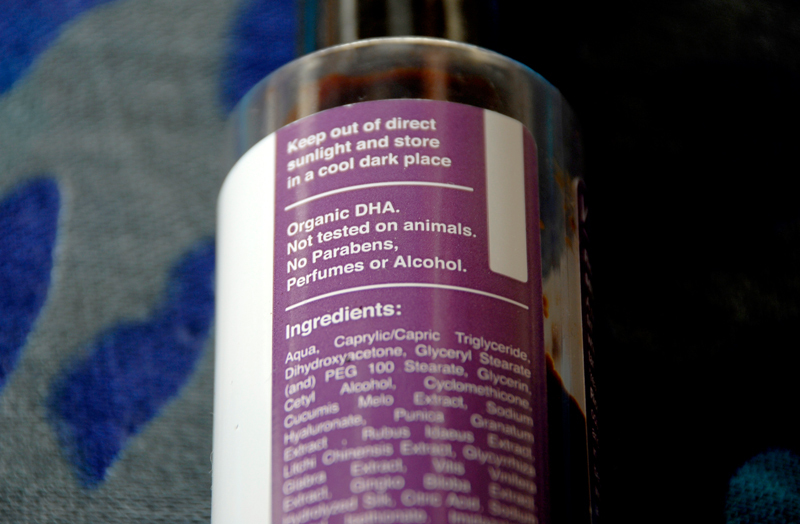 This brand has some big seeling points- it boasts that its the 'A' List tanning range, that the tan dries instantly, it has no smell and is both organic and paraben free. 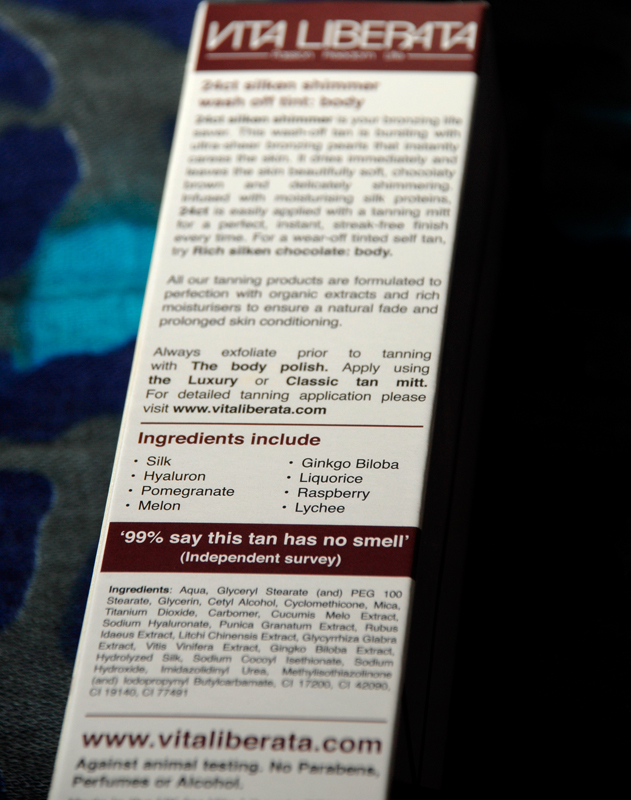 The Rich Silken Chocolate contains only organic DHA (the chemical that changes the colour of skin), no parabens or alcohol and no fragrance at all. One of the things I hate about fake tanning is that I am often left sticky and have to hang around in a towel for a few hours before bed to allow the tan to dry and not stick or streak when I put my pyjamas on. I also cant stand smelly fake tans, one of the worst offenders for me was Xen Tan which I felt left me smelling like a sweet orange yoghurt (I tried Xen Tan a while ago so they may have changed their formula since then). Each of the three products is housed in a plastic pump bottle- allowing you to see how much product is left and not slipping out of your mitted hand like some squeezy bottles do. The Rich Silken Chocolate is a deep dark brown without a hint of orange, while the 24ct Silken Shimmer is the same rich colour with tiny light catching gold flecks. As promised both the Rich Silken Chocolate body and face are completely fragrance free but the Silken Shimmer has a faint slightly melony smell, very fresh and definitely not off putting. The tans are full of natural nourishing ingredients and glide easily over the skin. They blend to a streak free finish and the claims were right- they do dry instantly, perfect for me but you have to be quite quick blending out any uneven bits. I find that even though they dry quickly the formulas are very moisturising and leave my skin feeling smooth without any bumps or flakiness. As with many tans the guide colour on the Rich Silken Chocolate is quite dark and the tan fully develops in 4-6 hours so is perfect for leaving on overnight and showering off the next day. The 24ct Shimmer is great if you want a quick sunkissed look but without the faff of a full self tan routine, the colour applies easily and makes me look lovely and bronzed. 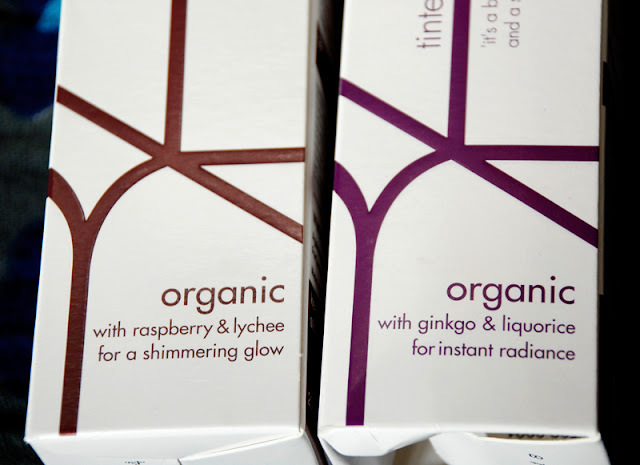 I was a bit sceptical about the shimmer in this product but once on the skin it leaves a nice glow without making me look like a glitterball! All the products in this set came with a little leaflet that includes info about the brand and advice and directions for applying tan to every part of the body. This set usually retails for £57.50 but I bought mine from Cheap Smells for £26.45, you can find the set here and the full range here. 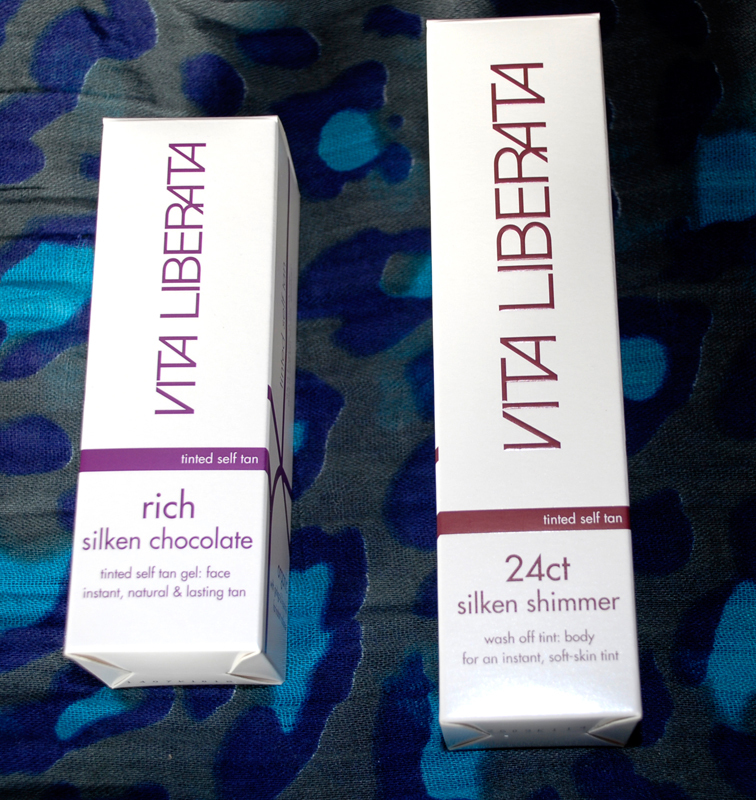 Overall Vita Liberata is definitely my new new favourite self tan and next on my list to try from the range is the Intense Silken Mousse for body. My one complaint is that the bottles aren't big enough for me! Ive used the tans for a few weeks now and almost half is gone from the Rich Silken Chocolate bottle but maybe its just because I get a little tan-happy at times and smother myself like its going out of fashion. All in all, im a very happy (and brown) bunny. 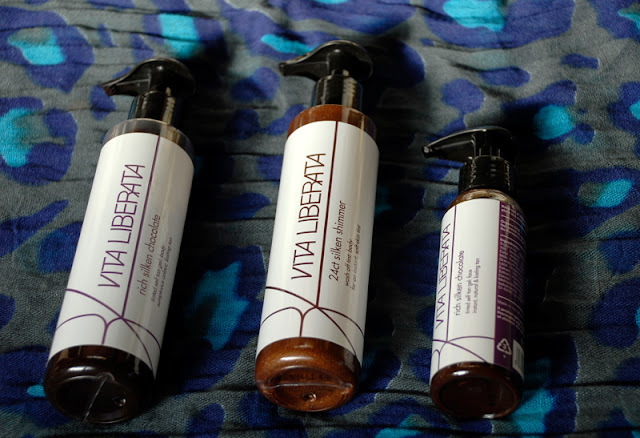 Have you tried any products from Vita Liberata? Postage on the bag is costing £7 first class, signed for. You'd get it the next day, but the bag itself weighs 1.5kg!